On the night of Saturday November 9, Venezuelan President Nicolás Maduro announced publicly his decision to block access foreign currency valuation websites including dolartoday.com, tucadivi.com, lechugaverde.com, dolarparalelo.com, dolarparalelo.org, preciodolar.info and dolarparalelo.tk, all of which track the unofficial price of foreign currency. After foreign currency exchange controls were put into force in the country in 2003, unofficial or “black market” pricing of foreign currency was declared illegal. Nevertheless, unofficial currency exchanges remain very much a part of the Venezuelan economy. Last Wednesday, inflation in Venezuela shot above 50%, causing the value of the Bolivar to plummet and prompting the President to accuse currency speculators of waging “economic war” on the government. 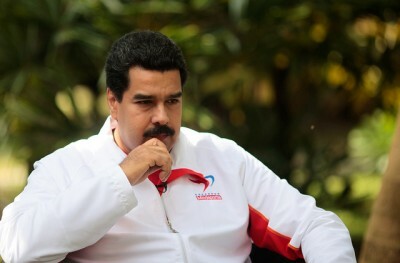 In his television address, Maduro also announced that Conatel, the administrative body responsible for telecommunications, has opened a case against private Internet service providers in the country, for “allowing the disclosure of the price of the parallel [black market] dollar.” This is just one tactic in what has been termed the “economic war”: amongst other measures, on Friday, the owners of popular e-commerce websites MercadoLibre.com and TuCarro.com were called to meet with members of the cabinet to establish mechanisms to “regulate prices” at which users can post items for sale on these sites. The decision has been carried out through the Ministry of Science and Technology, without any administrative procedure. This is not the first time that the Venezuelan government has blocked foreign currency valuation websites: DolarToday itself has been blocked in the past by CANTV, the state-owned ISP. But this does mark the first time that an announcement of this magnitude has been made on ​​live television by the President of the Republic. Venezuela still in American spotlight for inserting a new regime – if not by coup then by pressures such as the one involved with their economy. Maduro is continuing Chavez’s policies to a great extent. Thus he will be villified in the same way as was Chavez. I salute his braveness and commitment. Will he make mistakes? Of course he will, he’s human. But his motivations are consistently in line with what’s good for his people. Whatever setbacks might occur at times will be offset by continuing Venezuela’s emergence from the death-hold in which it was held for so long before the resurgance of the Bolivarian revolution. They are far, far ahead of anything the creeps in the U.S. and “friends” do for their people, and the world in general. nahhhh…. someone who talk with birds and see’s faces on stones..is not crazy…is a comunist leader! Today, Conatel, the telecommunications entity in Venezuela, blocked the Bit.ly domain in its attempt to censor websites dedicated to posting information about the so-called “parallel dollar”. By doing this, they have also blocked hundreds of thousands of sites who use bit.ly as their URL shortener.